Welcome to Tuesday Morning Quarterback's annual Bad Predictions Review. There is fertile ground to be plowed after the Super Bowl was won by a team not even expected to reach the playoffs, so let's just get started without the customary 3,000-word aside. And if you're thinking, "Hey, I predicted, 'Wes Welker could open up the New England offense enough for Tom Brady to have his best statistical season'" -- actual May 2007 prediction by ESPN's John Clayton -- remember, this is the annual bad predictions review. Category 1: Offseason Predictions: "Off" is the operative word. Peter King of Sports Illustrated kicked off the offseason predictions derby with a complex chart of predictions for NFL quarterback performances in 2007: He predicted Jon Kitna would be better than Brett Favre and J.P. Losman would be better than Eli Manning. King predicted, "It'll be stunning if the Chargers can dig their way out of this horrible web of mismanagement to finally be a playoff factor next season." San Diego reached the AFC Championship Game. King predicted the final ranking of all 32 NFL teams. He had the Giants 21st and the Packers 25th; they met for the NFC championship. He had the Bears, Broncos, Eagles, Rams, Ravens and Saints in his predicted top 10; none made the playoffs. King's offseason prediction for the 2008 Super Bowl? "Indianapolis and New Orleans will play the highest-scoring game in the history of the Super Bowl. Colts 44, Saints 37." Adam Schein of Fox Sports predicted in the offseason that, "The NFC West will be the toughest division in the NFL." The NFC West finished with one winning team. Bill Williamson of The Denver Post predicted, "Count San Francisco among the Super Bowl contenders. At the very least, this will be a playoff team." San Francisco finished 5-11. On "SportsCenter," Floyd Reese predicted San Francisco would be the "breakout team" of 2007. Perhaps he meant to say, "breakdown." Mel Kiper predicted Anthony Spencer of Dallas would be the Defensive Rookie of Year. Spencer didn't start. Ron Borges, then of The Boston Globe, predicted that Jeff Garcia, Patrick Kerney and Leonard Davis were "free agents to avoid." All made the Pro Bowl. Seth Wickersham of ESPN predicted San Francisco would be the year's sleeper team, saying, "The Niners are this year's Arizona Cardinals." Perhaps that was an honor the Niners did not seek! • How big are spaceships? Pete Prisco of CBS SportsLine predicted the Raiders would finish .500; they finished 4-12. "JT the Brick" of MSNBC predicted, "The Oakland Raiders are back. They are drastically improved." (Note: Strangely, MSNBC labels all sports column "OPINION." This is in case you think there are objective, fact-checked sports predictions.) Brick also predicted that, in early 2008, Bill Parcells would become coach of the Giants or Chargers; neither team changed coaches, and Parcells went to the front office of the Dolphins. Some sports forecasters make weirdly specific predictions, and Andrew Perloff of Sports Illustrated took this year's cake. He attempted to predict the exact final rushing statistics of nine NFL tailbacks, his predicted totals combining to 9,350 yards. The nine actually rushed for 5,285 yards. Perloff predicted Cleveland first-round choice Joe Thomas would be a bust; Thomas made the Pro Bowl. Perloff said Jay Cutler will "lead the Broncos back to the playoffs." He predicted the Redskins would have "an improved defense;" given that Washington was 31st in defense the previous year, it could scarcely have gotten worse. Perloff predicted Donte Whitner "should help the Bills improve against the pass." The Bills declined from seventh against the pass in 2006 to 29th in 2007. Then there were the Jake Plummer predictions. In winter 2007, Plummer had the unusual experience of being traded after he retired. Plummer insisted he had quit, but many predicted this was just a contract ploy. Dan Pompei of Sporting News declared, "Plummer still can play and likely will prove it next season." Paul Attner of Sporting News forecast the same: "Plummer will return to the NFL" for the 2007 season. ESPN.com's Jeremy Green speculated, "If Plummer ends up in Houston, he might have to sit behind David Carr." Plummer did not come back, and Carr wasn't in Houston either. they'll dominate the NFC for years to come." Chicago did not make the playoffs. Disclaimer of the Week: Recently, I received an e-mail that ended with this disclaimer: "You should not retain, copy or use this e-mail or any attachment for any purpose, nor disclose all or any part of the contents to any other person." Wait, I've just disclosed the nondisclosure instructions. Billion-Year Prediction Includes Qualifiers: The 2007 book "The World Without Us" says, "Around five billion years from now, give or take, the sun will expand into a red giant, absorbing all the inner planets." This is a hedged prediction about something that won't happen for eons! Obviously the publisher wanted to avoid snide remarks in book-review columns if five billion years pass and the sun is still normal. Leftover Super Bowl Points: Many readers -- including Christine McMillin of East Aurora, N.Y., -- noted another similarity between this year's Giants upset of heavily favored New England and the Giants upset of heavily favored Buffalo in January 1991: In both, the losing team dropped a game-clinching interception. Asante Samuel dropped an interception on the down before The Play; in 1991, Ray Bentley of Buffalo dropped an interception on the down before Jersey/A kicked the winning field goal. Luck is a big factor in sports, one reason any team going 19-0 seems so unlikely. And many readers -- including Danny Epstein of Tewksbury, Mass. -- noted that two Jersey/A offensive linemen were holding on The Play. Indeed, they were. In rolling to 18-0, New England had exceedingly good luck with holding onto the ball and with officiating. On a sliding tray in Arizona, that luck ran out. The universe is big -- and getting bigger -- and ten bucks says you'll always be able to see it. Three Trillion Years from Now, the Vikings and Bills Will Meet in the Super Bowl and One of Them Will Have to Win: Lawrence Krauss of Case Western Reserve University, one of the hot names in physics, is first author of this fascinating paper. The paper predicts that 3 trillion years from now, the universe will have expanded to such vastness, and its edges accelerated to such speeds, that an observer in our galaxy, the Milky Way, will not be able to see any other galaxy. At that far date, Krauss supposes, from the standpoint of the Milky Way, it would appear that our galaxy was all that existed. The ancient Greeks believed our galaxy was all that existed, so over the very long term, their view might come back into fashion! 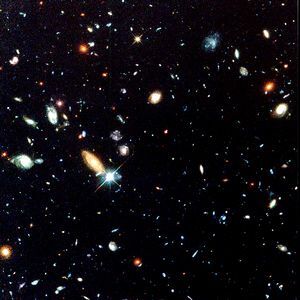 Krauss further hypothesized that once the universe is so spread out the galaxies can't see each other, there no longer would be any evidence of the Big Bang. Humanity, Krauss contends, is fortunate to have popped up relatively early in the life span of the cosmos, which appears to be about 14 billion years old -- less than 1 percent of a 3-trillion-year period -- because the firmament is young enough to remain rich with clues as to how the heavens came into being. Think what might happen to an intelligent species arising 3 trillion years from now, Krauss continued. Able to perceive only its own galaxy, that species might not realize a larger universe exists, and might be perplexed about what force could have formed a single cluster of stars floating in an endless void. My speculation: The beings in this scenario would conclude that all existence was created for them personally, which is roughly what our ancestors believed. Category 2: Season-Start Predictions: Just before the season starts, every sports page and sports-news outlet offers season predictions -- and hopes you don't copy them down. Jay Glazer of Fox Sports forecast Randy Moss would be "the year's biggest letdown. Moss won't be nearly as effective as was predicted. Not even close." Moss set the single-season touchdown receptions record. Glazer thought Lovie Smith would be Coach of the Year and Drew Brees would be league MVP; neither of their teams made the playoffs. Glazer thought the NFC West would be the league's toughest division; the combined division record was 26-38. The Wall Street Journal forecast the Eagles, Saints, 49ers, Ravens, Cardinals, Broncos and Jets would make the playoffs; none did. Clifton Brown of The New York Times forecast an NFC championship of Saints over Bears; neither made the postseason. He foresaw the Packers were "likely to finish around .500;" Green Bay hosted the NFC Championship Game. Judy Battista of The New York Times predicted the Dolphins "may be better than last season" and the Broncos "will not miss the playoffs." Prisco of CBS SportsLine predicted the Browns would be the league's worst team; Cleveland finished 10-6 and missed the playoffs by a tiebreaker. Vic Carucci of NFL.com predicted the Super Bowl would pair the Patriots and Eagles; Philadelphia did not make the playoffs. Wojciechowski of ESPN.com predicted the NFC divisional round would match Chicago versus New Orleans and Carolina versus Philadelphia; none made the playoffs. The Boston Globe ran five sets of Super Bowl predictions, none of them mentioning the Giants. Dan Shaughnessy of the Globe predicted San Diego over New England in the AFC Championship Game. Maybe if San Diego hadn't punted from the New England 36 in the fourth quarter, that actually would have happened! USA Today offered eight dueling Super Bowl predictions, none of them involving the Giants. The paper's Larry Weisman predicted a Super Bowl of Ravens over Bears; neither made the playoffs. The paper's eight forecast predictions for Coach of the Year were Scott Linehan (predicted twice), Mike Nolan (predicted twice), Lovie Smith, Marvin Lewis, Mike Tomlin and Jack Del Rio. Only two of the eight predicted Coach of the Year winners led their teams to the playoffs. On ESPN television, Sean Salisbury predicted an NFC championship of New Orleans over Chicago; neither team made the playoffs. Chicago, Salisbury said, "will win the division by Dec. 1st." Chicago was eliminated shortly after that date. Salisbury predicted the Arizona Cardinals would win the NFC West. None of ESPN television's "Sunday Countdown" crew -- Chris Berman, Tom Jackson, Chris Mortensen, Keyshawn Johnson, Mike Ditka or Emmitt Smith -- predicted the Giants would reach the Super Bowl. Over at CBS, Shannon Sharpe forecast St. Louis to reach the Super Bowl. Pro Football Weekly ran 11 dueling Super Bowl predictions: New England over New Orleans (predicted three times), New England over Chicago (predicted three times), San Diego over Philadelphia (predicted twice), San Diego over Chicago, Ravens over Panthers and New England over Panthers. Of the 22 predicted Super Bowl participants, 12 failed to make postseason, and no Pro Football Weekly analyst predicted the Giants would reach the Super Bowl. PFW predicted the Browns "will challenge for league's worst, which will cost Romeo Crennel his job" (Cleveland finished 10-6, and Crennel received a lucrative extension); the magazine forecast Jacksonville would do well because "if Byron Leftwich is healthy, what's wrong with this team?" Leftwich was waived a few days after the issue came out. Over at Sports Illustrated, Don Banks wrote of the NFC title race, "I don't see anyone but Philadelphia capable of denying New Orleans." Neither made the playoffs. Six of Sports Illustrated's 12 predicted playoff teams failed to reach the postseason. Sports Illustrated predicted an NFC championship pairing of Saints over Eagles; neither made the playoffs. SI foretold a Super Bowl final score of New Orleans 31, San Diego 27. ESPN The Magazine ("Published on Earth, the Planet") predicted a Super Bowl of Chargers over Cowboys. None of the four dueling Super Bowl predictions inside The Mag mentioned the Giants. Over the past three seasons, Sports Illustrated and ESPN The Magazine have combined to predict Super Bowl victories for Miami (predicted twice), Minnesota, San Diego, Carolina and New Orleans; five of the six Super Bowl winners predicted by these two publications failed to make the playoffs that year. Then there was the astonishing ESPN.com meta-forecast. Your faithful servants at ESPN.com offered no fewer than 16 dueling complete NFL forecasts for division winners, wild-card teams, Coach of the Year, MVPs and the like. The Super Bowl predictions: New England over Chicago (predicted three times), New England over Seattle (predicted twice), New England over New Orleans (predicted twice), New England over Dallas (predicted twice), San Diego over New Orleans (predicted twice), Baltimore over New Orleans, Baltimore over Chicago, New England over Philadelphia, New Orleans over San Diego, Baltimore over Philadelphia. All wrong! Of 32 ESPN.com predicted Super Bowl entrants, 15 did not make the playoffs. Four ESPN.com predicted Super Bowl winners did not make the playoffs. One ESPN.com prediction had Brian Billick as Coach of the Year; Billick was fired. Another had Lane "Hey Mom, I Got My Learner's Permit" Kiffin as Coach of the Year; the Raiders won four games. And along the lines of the dog that didn't bark, if you check the link to the meta-forecast, what team name don't you see? Wacky Hotel of the Super Bowl: At the Hyatt in Scottsdale where my daughter and I stayed, there were instructions on how to sleep. A card on each bed said, "Sit quietly for a moment with your eyes closed. Deepen your inhale and lengthen your exhale. Continue breathing and listen to your life." Continue breathing -- say, that's good advice! Wacky Food of the Super Bowl: Mara and I had dinner at this swank Scottsdale restaurant where the menu offered "elemental soup" -- isn't all food made from elements? The media waited anxiously as Middle East peace negotiators and Nobel Prize laureates met with Terrelle Pryor. More Proof of the Decline of Western Civilization: According to Pete Thamel of The New York Times, on signing day, nine television vans were parked outside Jeannette High School in Pennsylvania, where most-touted prospect Terrelle Pryor was expected to announce his college choice. (He didn't.) 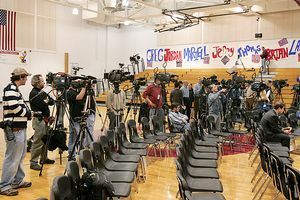 Photos showed dozens of reporters and camera crews set up in the Jeannette gym. Leftover Super Bowl Stat: The Giants are 3-1 in the Super Bowl when trailing at the half. All other teams that trailed at halftime at the Super Bowl are a combined 5-31. Noted by reader Mark Richard of Boston. Trust Him, He Used to Run the Economy: In February 2004, Alan Greenspan, then chairman of the Federal Reserve, praised adjustable-rate and interest-only mortgages, the gimmick loans that triggered the 2007 default wave. In October 2004, Greenspan said a sudden drop in housing values was "most unlikely." I Knew All Along -- I Just Forgot to Say So: "While Norv Turner remains the leading candidate to be the next head coach of the Dallas Cowboys, ESPN's Chris Mortensen reported Wednesday that another candidate has emerged: Bears defensive coordinator Ron Rivera." So read ESPN.com on Feb. 1, 2007. A few days later, after Wade Phillips got the Boys post, Mort said on the air that he had always known the job would go to Phillips. I Knew All Along -- I Just Forgot to Say So No. 2: "JaMarcus Russell will start right away" for Oakland on opening day, ESPN's Salisbury foresaw as the first selection of the NFL draft was announced. Russell started only the season finale. When Miami went on the clock, Salisbury proclaimed he was "certain" Brady Quinn would be the Dolphins' choice. The day before the NFL draft, Peter King of Sports Illustrated predicted the Browns would select Quinn with the No. 3 pick. The day of the draft, when Cleveland and Miami passed on Quinn, King protested, "I don't understand how the Dolphins" could choose anyone else "when there's a strong quarterback prospect, Brady Quinn, sitting there." A few days after the draft, King wrote an article warmly lauding Cleveland management for trading for an extra first-round choice and using the selection to draft Quinn. Then a week later, King wrote that it was obvious all along Quinn should not go high in the draft: "There was JaMarcus Russell and then there was the field. Brady Quinn was a lot closer to John Beck, Drew Stanton or Kevin Kolb [all second-round choices] than he was to Russell." One is taking anti-aging drugs. Can you tell which? If Your Dog Outlives You, Will It Inherit Your House? There is some evidence a compound of acetyl-L-carnitine and alpha-lipoic acid retards cellular aging -- the stuff doesn't make you any younger but, in tests with laboratory rats, appears to slow the rate of aging. The Food and Drug Administration has yet to rule on the efficacy of the substance, but claims made on its behalf are backed by serious medical research; the compound is sold under the zoomy trade name Juvenon. 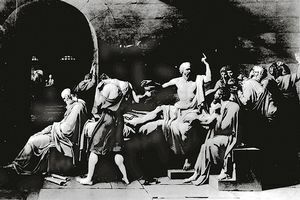 Considering how obsessed Americans are with the illusion of youth, it seems mildly puzzling Juvenon has not become popular. Maybe the reason is the formula results from hard-science research, rather than claims of a mysterious miracle plant found deep in the Amazon rain forest. 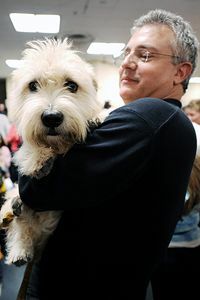 At any rate, the Juvenon company, needing revenue, recently introduced a version of its product for dogs. Imagine trying to tell an impoverished mother of central Africa -- where, according to a 2007 UNICEF report, the infant mortality rate is 20 times that of the rate in United States -- that in America, the dogs get life-prolongation drugs. New York Times Assigns Judy Miller to Cover Sports: The day before the 2007 draft, The New York Times devoted a front-page article to Walter Thomas, a 375-pound aspiring defensive tackle. The Times claimed that (conveniently unnamed) "professional football scouts" viewed Thomas with "awe" because he can perform a backflip. The article called Thomas as athletic as a "Russian gymnast" and predicted he would be drafted despite having appeared in only two college games in the previous two years, owing to poor grades and an arrest record. Thomas was not selected in the draft. He was signed by New Orleans as an undrafted free agent, then immediately waived when this supposed ultrapremium athlete proved to be in such terrible shape he dropped out of the Saints' first workout after a few minutes. The Times played the news of Thomas being waived as a brief item on Page C15 -- making no mention of the paper's Page 1 prediction, mere days before, that Thomas would become an instant star. Bad College Predictions: Sports Illustrated forecast a Rose Bowl of Michigan versus Rutgers; neither made the BCS. The magazine forecast Ohio State would not make the BCS; it made the national title game. It forecast Louisville would finish 11-1; the Cardinals finished 6-6. SI forecast Illinois would finish seventh in the Big Ten; the Illini made the Rose Bowl. In a preview of Heisman Trophy hopefuls, Sports Illustrated did not mention eventual winner Tim Tebow. Sports Illustrated said Little Nicky Saban is "leading a great revival at Alabama" and is "tough enough to bring back the glory of the Bear." The Crimson Tide finished 7-6. Sports Illustrated also declared Saban has "drill-bit eyes." His eyes come to a point and are coated with industrial diamonds? Bad College Predictions No. 2: "West Virginia is certain to win, and they will play in the BCS championship:" Doug Flutie on ABC, a few hours before No. 2 West Virginia lost to 4-7 Pittsburgh, forfeiting its shot at the BCS title. Note: After West Virginia kept its first team on the field and kept throwing deep despite a 31-point, late-third-quarter lead against woeful Syracuse, reader Peggy McMahon of Rockport, Maine, e-mailed me to predict the football gods would exact vengeance on the Mountaineers. And yea, verily, it came to pass. News of the Future: Signs saying "euros accepted" are appearing in the windows of New York City shops and restaurants -- Reuters item last week. In 2024, President Eli Manning will live at the Wal-Mart House, Presented by Home Depot. WASHINGTON, D.C., Feb. 12, 2024 -- President Eli Manning announced today that the federal government will begin issuing Social Security benefits in renminbi, fixed at a conversion rate of 10 dollars per yuan. "Chinese currency will be really convenient for beneficiaries since everything we buy comes from China anyway," Manning said. 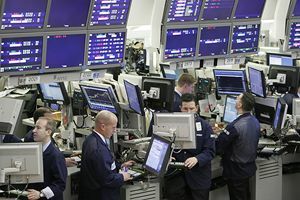 Financial analysts noted that since bond-rating agencies dropped Treasury bills to junk-bond status, attracting foreign capital to sustain U.S. borrowing has become increasingly difficult. The decision to switch from greenbacks to renminbi adorned with images of Mao Zedong contemplating an orchid was made urgent last week when Argentina and Greater Korea stopped accepting dollars as payment for exports to the United States, saying they wanted to be paid in currencies not burdened by runaway debt. This year's federal deficit is projected to exceed the federal budget, yet Baby Boomer retirees are demanding higher benefits plus federally subsidized vacation homes. 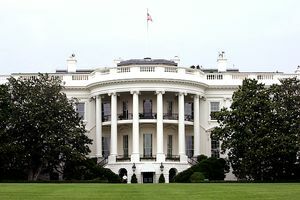 Speaking from the Wal-Mart House, formerly known as the White House, Manning also appealed to Saudi Arabia to cut the price of oil below $1,000 per barrel. Administration officials said, however, that there are no plans to enforce the higher fuel-economy standards that were enacted by Congress in 2007 and have been postponed by every president since. With health care costs running at 63 percent of GDP, typical CEO pay now at $40 billion per executive and most working-age Americans having only part-time minimum-wage jobs, the economic outlook continues to appear gloomy. "But I believe this great nation can borrow vast amounts of foreign money with no plan as to how we will ever pay it back," President Manning said. "That's been the policy since George W. Bush, and that's my policy." President Manning also held a ceremony to commemorate the 10,000th television commercial he has filmed with his brother Peyton. The commercial is for VegasCare, an HMO that is a Wall Street darling. Medicare recipients who enroll in VegasCare spin a roulette wheel every 30 days to determine how much medical care they will receive that month. Separately, Vice President Chelsea Clinton said she saw "clear signs of progress in stabilizing the security situation in Iraq." Category 3: Bad TMQ Predictions: My annual generic Super Bowl prediction -- that the team goin' to Disney World would be a team that did not appear on "Monday Night Football" -- honked again. Early in the decade, this generic prediction scored twice, making me seem like a genius; increasingly, that appears no more than a fluke. My generic final score prediction -- Home Team 20, Visiting Team 17 -- also honked. Although this is the most common final score combination in NFL play, it occurred only twice in 2007. My preseason predictions? "Baltimore should be a power team again in 2007." TMQ foresaw that "the Browns will have no running game." (Cleveland finished 10th in rushing.) I predicted Jacksonville would "desperately regret" not drafting Brady Quinn. (David Garrard had a terrific season at quarterback.) I predicted David Carr would become a star again at quarterback for Carolina; Carr was benched. And I predicted the Giants would have offensive line problems; the Giants' offensive line outplayed the Patriots' offensive line in the Super Bowl. 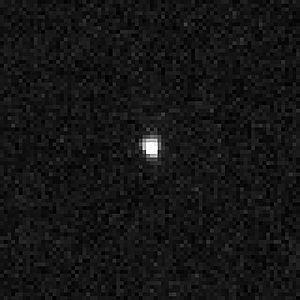 Sedna is part of our solar system -- and we can barely see it. Ten Bucks Says That in 5,250 Years, the NFL Will Have an Expansion Team on Sedna: NASA offers this artist's conception of how the sun and Earth might appear from the surface of Sedna, recently discovered candidate for 10th planet in our solar system. Sedna has a highly elliptical orbit and currently is on its closest approach to the sun, which is the reason it was discovered. But "close" in this context means 86 times farther from the sun than is the Earth. At the outermost edge of its orbit, which Sedna will reach in about 5,250 years, the big red rock will be 903 times farther from the sun than Earth is. What would the sun look like from the surface of Sedna at its outermost point? Probably like a bright star ringed by a glowing cloud of shiny points, one of the glowing points being Earth. Bad Giants' Predictions: Profootballtalk.com forecast the Giants to finish last in the NFC East. Paul Zimmerman of Sports Illustrated forecast the Giants to finish 6-10. The New York Times predicted the Giants would "take a step backward" in 2007. Eric Allen of ESPN foretold, "The Giants are a team that could disappoint." Don Pierson, whose MSNBC column is called "Ask the NFL Expert," forecast Jersey/A to finish last and added, "The Giants are having a hard time convincing anyone they are on the way up." And will New England go undefeated? Don Banks of Sports Illustrated in October: "These Patriots will go 16-0 in the regular season, and then march through the playoffs to become the first 19-0 team in NFL history. Write it down and underline it twice. Remember, you heard it here first." She "could" ask TMQ out. CEOs "could" take pay cuts to fund universal health care. "Could" Predictions: Practically anything "could" happen. Maria Sharapova "could" ask me out; the ethanol lobby "could" stop demanding subsidies. Here are some football "could" predictions from the year. Bill Williamson, Denver Post: Carolina "could" win the NFC. Clifton Brown, New York Times: The Rams "could" win the NFC West. John Clayton, ESPN: The Miami Dolphins "could surprise." (Hmm -- in a sense, they did.) Rich Eisen, NFL Network: Miami "could win 10 games." Judy Battista, New York Times: "This could be the Saints' year to go to the Super Bowl." Seattle quarterback Matt Hasselbeck: "We could end up with the best record in football." Detroit Lions player Mike Furrey: "On paper, we look like we could win 10 to 12 games, easily." Games are played on turf, not on paper! In 2006, Pro Football Weekly's "best bets" prediction feature went 31-34-2. In 2007, the PFW "best bets" went 32-36. For two consecutive years, Pro Football Weekly's "best" predictions have finished behind flipping a coin. And for an extra $89.95 above the subscription price, PFW offers online access to a "handicapper's inner circle." Written by the same staff whose "best" bets do worse than random chance! They abandoned red, white and American flag blue -- the single most successful color scheme in world history. Rally 'Round the Muted Gold Tones, Girls! As noted by King Kaufman of the cheeky online publication Salon, the U.S. women's soccer team has become the latest sports organization to abandon red, white and American flag blue -- not to put too fine a point on it, but the single most successful color scheme in world history. The new women's soccer colors are dark gold, dark red and black. Or as J. Crew might call them, Miner's Washpan Effluent Nugget, Wind Tunnel Warning Beacon Ruby and 1977 Northeast Power Failure Blackout. Note: Salon should change its name to The Cheeky Online Publication Salon. Air Shaft Update: TMQ is driven crazy by action movies and sci-fi shows in which people escape through air shafts: few actual air shafts are large enough for anything bigger than a house cat. Equally ridiculous are television and movie scenes in which secret agents move through sewers (most sewers are full of water, plus sealed) that have convenient access hatches to individual buildings (sewers connect to the pipes of buildings, not the doors!). Reader Jeff Horbinski of Lake Ridge, Va., reports that in an offseason episode of the "24" melodrama, "After a guns-blazing shootout with Jack Bauer, the villain, Abu Fayed, escaped from an apartment building that was surrounded by counter-terrorist agents. How was that possible? He climbed down a rope hung in a knocked-open closet wall. The rope, Bauer announced, connected 'to the building's air shafts and then to the sewer system,' enabling Fayed to evade dozens of agents. Fayed must be a master-villain because he uses both the air shafts AND the sewers!" "24" note: the show went on hold because of the writers' strike. Fox announced that when "24" returns, it will be the first carbon-neutral television series, by virtue of Fox's paying a green-power fee to the Los Angeles Department of Water and Power. Angelenos can pay extra for green power by signing up here. It's appropriate that "24" will be carbon-neutral, since the show is already logic-neutral! If Your Site Contains Rumors, Do Your Predictions Have to Be True? West Virginia lawyer Mike Florio publishes Profootballtalk.com, a rumor Web site that gained standing this year when it won advertising from NFL.com. Florio runs an amazing number of breaking stories; his big time-saver is that his stories don't need to be true. What about his predictions? In September 2007, Florio predicted San Diego general manager A.J. Smith was about to be fired; three months later, Smith got an $11 million contract extension. A month into the season, Florio said "the Raiders are for real" with a good chance to make the playoffs; Oakland finished 4-12. Florio forecast the Bengals, Broncos, Saints, Bears, Rams and Eagles to win their divisions; that is, six of his eight predicted division winners did not even reach the postseason. Florio said Mike Shanahan might get the University of Michigan coaching job -- "I am serious, it could happen." Florio predicted the Rams would win the NFC championship. In mid-September, Florio predicted Tom Coughlin of the Giants would be fired by "sometime in November." Bad Hurricane Predictions: As TMQ noted at this time last year, before the 2006 hurricane season, both the government's National Hurricane Center and the media-favorite hurricane prediction center at Colorado State University forecast an exceptionally severe Atlantic hurricane season: Instead, the 2006 season was smack on the average of the past half-century. Before the 2007 hurricane season, the National Hurricane Center and Colorado State again predicted a harsh Atlantic season. 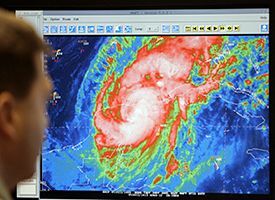 In April 2007, Colorado State called for a "very active hurricane season," with nine hurricanes, five of them intense. (The average of the past half-century is six Atlantic Ocean hurricanes, two of them intense.) In May 2007, the National Hurricane Center forecast a "75 percent chance that the Atlantic Hurricane Season will be above normal," with up to 10 hurricanes, as many as five of them intense. seven to nine hurricanes, of which three to five could become major hurricanes." About the same time, William Gray of Colorado State -- the media's favorite hurricane forecaster, perhaps because he always predicts disaster -- declared, "Though the 2007 hurricane season has gotten off to a slow start, my colleague Phil Klotzbach and I still anticipate another active season with above average numbers of major hurricanes." A slow start. Come on you hurricanes, let's get cracking, form and destroy something! Instead, the bottom line on the 2007 Atlantic hurricane season was six hurricanes, two of them intense -- smack on the average of the past half-century. This did not discourage Colorado State: "Based on our analysis of fall parameters, the 2008 Atlantic hurricane season is expected to be more active than the average 1950-2000 season," the school's forecasters said in December 2007. The initial Colorado State forecast for 2008: seven Atlantic hurricanes, three of them intense. Hurricane predictions bonus: In November 2006, after his 2006 Colorado State forecasts proved wrong, Gray declared, "We are improving our skill in seasonal prediction with an improved level of understanding." He predicted his predictions would get better -- and was wrong about that, too. Fortunately, There Are No Hurricanes in Space: In spring 2007, the government's Space Environment Center convened a meeting of sunspot experts, who predicted the next solar cycle would begin in March 2008. It began in January. There are now no fewer than 13 "space weather" centers that forecast the sun's effect on power grids and communications satellites. Just a warning here -- "space weather" will be a TMQ running joke next season. ": In December 2006, Peter King declared on NBC, "Nick Saban is not going to leave the Miami Dolphins. Nick Saban is not going to Alabama." Three days later, Saban left for Alabama. In December 2007, Peter King declared on NBC, "There is no chance" the Dolphins will fire Cam Cameron. Three weeks later, the Dolphins fired Cameron. Brotherhood-of-weasel-coaches addendum. In January 2007, Rich Rodriguez publicly assured potential West Virginia recruits he would stay at the school "a very, very long time." In December 2007, Rodriguez walked out for money. In late November 2007, Bobby Petrino said "I haven't given one bit of thought" to walking out on the Falcons to take the Arkansas job. A few days later, he walked out to take the Arkansas job. Root, Root, Root for the Home Team: TMQ's off-price, ultrageneric house-label prediction, Home Team Wins, finished 155-112 this season -- counting London as a "home" game for the Miami Dolphins and the Super Bowl as a home game for the Patriots. (The AFC team is the Super Bowl home team of record in even-numbered years, the NFC in odd-numbered.) The 155-112 finish means the home team won 58 percent of the time this season, somewhat below the mid-60s percent correct range posted by football pundits who predict outcomes. In predicting all games this season, USA Today football writers showed an overall average of 66 percent correct, Fox Sports analysts 65 percent, ESPN analysts 64 percent. Thus possession of astonishing, incredible insider information about football allows the predictor to do a few percentage points better than simply always picking the home team. Mike Golic of ESPN finished 155-112 as a forecaster this season -- Mike, save time, just pick the home team! --- while Eric Allen of ESPN (157-110), Skip Wood of USA Today (158-109) and Jay Novacek of MSNBC (160-107) barely bested Home Team Wins. Hey NBC -- sway to the left, sway to the right, renew another season for Friday Night Lights! "Friday Night Lights" Update: The Dillon Panthers finally played a game! After three episodes of relationship talk and no mention of football, Dillon defeated South Pines 45-6 to advance to 5-2. But NBC has just announced the show's second season is over. No fresh episodes remain, and though the writers' strike ended, because NBC's replacement offerings are doing well, the network does not plan to bring casts and crews back together to film the last few current-season episodes of most shows. Does this mean "Friday Night Lights" ends with a whimper -- not even a series finale? Perhaps this is the judgment of the football gods! In last week's episode, Dillon was ahead 38-0 in the fourth quarter, and SuperCoach called a trick play to run up the score. Shortly after that episode aired, NBC axed the remainder of the second season. Even imaginary coaches should fear the wrath of the football gods for running up the score! "Friday Night Lights" is handicapped by unrealistic game scenes, and, in what might be its last episode, rolled out an unrealistic recruiting subplot. Earlier in the season, star tailback Smash Williams was one of the most sought-after prospects in the country; he was trying to decide among scholarship offers to Alabama, Florida and fictitious Texas Methodist University. Then Smash got into a fistfight and was suspended for three games, although no charges were filed. All the football-factory colleges immediately withdrew their offers, and as of last Friday, Smash had to commit to fictional Whitmore College, a perennial loser, because Whitmore was the sole school that would take a chance on him. This is unrealistic. Smash hasn't been charged with a crime, merely suspended temporarily by the local athletic district. No football-factory college would have any problem with this, let alone drop a highly sought recruit cold. High school players convicted of crimes end up with full scholarships for football and men's basketball. To cite a case that received significant attention in my state, a highly recruited Maryland prospect named Pat Lazear pleaded guilty in early 2007 to conspiracy to commit armed robbery, receiving jail time and extended probation: He supplied a replica gun and drove the getaway car for a robbery. Ohio State rescinded its scholarship letter to Lazear, but most football-factory offers stayed on the table; he chose an NCAA scholarship to West Virginia. If a guilty plea involving an armed robbery doesn't bother a football factory, why would Smash's minor transgression cause the reaction depicted in "Friday Night Lights"? On signing Lazear, Rich Rodriguez, then the Mountaineers' coach, told the Charleston Daily Mail that character "can be a matter of opinion." How very Rodriguez-like! Will there be a third season of "Friday Night Lights"? Even those of us griping about this year's detour into soap opera certainly hope so. 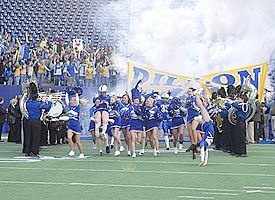 "Friday Night Lights" remains the best drama series on television -- and practically the only television drama that does not involve implausible super-cops, implausible super-doctors or the supernatural. Seriously, how many television shows are their networks actually proud of? Come on NBC -- sway to the left, sway to the right, renew another season of "Friday Night Lights"! After all, in the imaginary time of the series, it's only late October in Dillon. An FNL third season could detail the rest of the Panthers' state title defense and, in the process, present a legitimate reason for the characters to return once more as high school kids who are forever young. "Friday Night Lights," the series itself, has become a metaphor for Panthers' games. Now the series itself is way behind in the fourth quarter -- trailing big, all hope seems lost. Can the Panthers make an amazing comeback and return to television? Isaacson-Tarbell Resplendent: Last summer, readers Eric Isaacson and Catey Tarbell proposed this simple prediction algorithm: Best Record Wins; If Records Equal, Home Team Wins. Their idea, which TMQ dubbed the Isaacson-Tarbell Postulate, ruled the landscape of NFL predictions, finishing the season 183-84, or 69 percent correct. Of the dozens of NFL predictors TMQ tracked, John Czarnecki of Fox Sports had the best finish, at 183-84; ESPN's best predictor was Keyshawn Johnson at 176-91. So the Isaacson-Tarbell Postulate outperformed all but one football expert, which it tied. And here's the beauty of the Isaacson-Tarbell Postulate: You don't need incredible insider information; you don't need to spend hours in fevered contemplation; you don't even need to know who's playing. Simply always check-mark the team with the best record, or, if their records are equal, check-mark the home team. Whatever you do, don't think! I conducted a parallel experiment of forecasting all games using the Isaacson-Tarbell Postulate unless I felt really sure about a game going differently. A few times I was right where the Postulate was wrong, but on the season, this approach finished 179-88. That is, thinking about who might win was less successful than sticking to the formula. When making NFL picks, never think! The Isaacson-Tarbell formula does have a weakness. It backfired in Week 17, when the teams with the best records might lack incentive to win. In Week 17, Isaacson-Tarbell was a pitiful 7-9 as Dallas, Indianapolis, Jacksonville, Pittsburgh, Seattle and Tampa all fielded their practice squads. Suspecting the postulate might go haywire in the finale week, I ran a second parallel experiment in which I employed Eric and Catey's formula for the entire season except Week 17, which I forecast in the old-fashioned, steam-powered, legacy way -- by thinking. Combining the Isaacson-Tarbell Postulate with traditional forecasting in Week 17, I finished 189-78. That was numero uno among NFL forecasters for the season, although still correct only 71 percent of the time. Therefore, I propose the Transformed Isaacson-Tarbell Postulate: Best Record Wins; If Records Equal, Home Team Wins; Except Use Conventional Prediction for Week 17. Although, as usual, individual picks of football experts and pundits did only a little better than Home Team Wins, unanimous choices were a different matter. ESPN's "Sunday Countdown" crew went 101-33 on unanimous picks, and ESPN.com's predictors were 88-25 when unanimous. Not too bad. On the other hand, this means that when ESPN's experts were in total agreement about something, they still often were wrong. SI Also Picked Dewey Over Truman in a Rout: Since the moment Sports Illustrated predicted they would win the Super Bowl, the Miami Dolphins are 7-25. TMQ Forecast: Millions of Americans Will Ignore Pat Robertson: On Jan. 2, 2007, televangelist Pat Robertson forecast that "millions of Americans" would die in terrorist attacks in 2007. How big was it compared to a Romulan warbird? Imagine the Cost Overruns If Halliburton Built Starships: In sci-fi shows and movies, starcruisers are made to seem big by having ominous music play when they appear -- since the ships are shown against a background of stars, there's nothing to compare them to that indicates size. 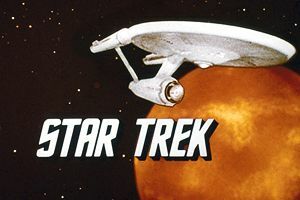 So if you wonder what the dimensions of sci-fi ships are supposed to be, check this Web site, which shows, among other things, that Jean-Luc Picard's Galaxy-class starship Enterprise was bigger than a Promellian battlecruiser. Not all sci-fi ships are depicted -- plus it would be hard to show "Star Trek" or "Star Wars" vessels in scale compared with the General Systems Vehicles of Iain Banks' Culture novels, as these starships are 100 miles long. Beware! Sinister Canadian donuts are sneaking across our border. First Canadian Pennies, Now Canadian Doughnuts: Boston has one doughnut shop for every 5,000 residents, almost twice as many doughnut shops per capita as Canada, the nation regularly mocked as doughnut-addicted. But beware, menacing Canadian doughnuts are sneaking across the border. The Tim Hortons doughnut chain of the frozen north is opening stores in Boston and other U.S. cities. OK, the Canadian doughnuts might not actually be "menacing," but I wonder what the real agenda is. Marketing note: Just as the company once known as Kentucky Fried Chicken is now formally KFC, never uses the word "fried" and is rumored to be in the process of rebooting its entire operation to feature foods other than fried chicken, Dunkin' Donuts seems to be growing skittish about the word "doughnut." 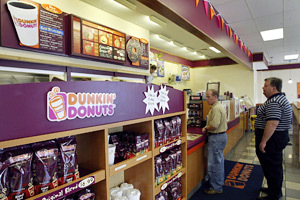 The company describes itself as "the world's largest coffee and baked goods chain." Trust Us, We're Experts: In its first issue of 2006, The Wall Street Journal headlined a story predicting the stock market would decline dramatically during the year. Immediately, I transferred some of the family's retirement savings into stocks -- this is true! -- and the Dow Jones index proceeded to have a banner year, rising 16 percent. In its first issue of 2007, the Journal headlined a story predicting a terrific year for stocks. If only I had had the courage of my convictions, and immediately sold stocks! Needless to say, 2007 was not a terrific year, although the 5.5 percent rise in the Dow Jones wasn't bad. They're all reading Tuesday Morning Quarterback and doing the reverse of whatever it recommends. Specific Wall Street Journal predictions from early January 2007, based on the consensus of a panel of 60 highly paid Wall Street economists: The year would end with oil at $60 a barrel, with the federal funds rate at 4.75, with inflation at 2 percent, with the euro at $1.30, with "gradual decline" in the value of the dollar, with a one-in-four chance of recession and with the Dow Jones Industrial Average at 13,234. The year ended with oil at $96, the federal funds rate at 4.25, inflation at 3.7 percent, the euro at $1.46, the dollar having plummeted 12 percent and with the Dow Jones index at 13,264. If you make enough predictions, one will be right! As the first of January came, I resolved to have the courage of my convictions and in 2008 once again do the reverse of whatever The Wall Street Journal predicted. This year, the paper did not run any year-beginning predictions. Trust Us, We're Experts Part 2: In March 2006, the Wall Street Journal editorial page declared that if the Democratic Party won the House or the Senate, it was "all but certain" to impeach George W. Bush in 2007. Set aside that only the House can impeach: The Democratic Party won both the House and Senate, and no impeachment. Will Michael Vick Sit, Stay or Roll Over? On July 6, ESPN.com reported, "Michael Vick is unlikely to be indicted in the dogfighting federal investigation, according to information gathered by the NFL and Atlanta Falcons, sources tell ESPN's Chris Mortensen. The authorities have told the Falcons and league there has not been any evidence that can be tied to Vick with the alleged dogfighting ring, the sources said." Eleven days later, Vick was indicted and extensive evidence disclosed; he pleaded guilty and was sentenced to nearly two years' imprisonment. Category 4: Bad Super Bowl Predictions: Princess the camel of the Popcorn Park Zoo in New Jersey said the Giants would win the Super Bowl and finished 9-2 with her playoff predictions. After Princess, it was pretty much all downhill. Faithful followers, I tell you that in the future there will be so much hubris, people will attempt to predict the exact final score of the Super Bowl! Ten of 10 Pro Football Weekly analysts took New England, with an average predicted Patriots' score of 35 points. PFW editor-in-chief Keith Schleiden: "Do the Giants have what it takes to end the Patriots' quest to go down as the greatest team in NFL history? Fat chance. Look for the Patriots to shut down Eli Manning early and coast." Ten of 11 Fox Sports analysts predicted New England would win. All Yahoo sports analysts said New England would win. Seven of eight USA Today analysts predicted a New England victory, with an average Patriots' score of at least 30 points. Dan Pompei of Sporting News devoted an entire article to predicting that Plaxico Burress would not play well -- "Don't make the mistake of assuming Burress is as much a threat as Moss." Burress caught the winning touchdown. John Clayton of ESPN predicted the game would exceed the Vegas over/under of 54 points; 31 points were scored. Jay Novacek of MSNBC weirdly attempted to predict the entire game, forecasting, "This game will start off slow, as the teams feel each other out, and the Patriots will lead 10-7 after one quarter. Both sides will settle down in the second quarter, with New England leading 17-14 at the half. The Giants will get a couple of big plays in the third quarter to take a 21-17 lead, but the Pats will answer quickly for a 24-21 lead. Then New England will pull away in the fourth." Vic Carucci of NFL.com predicted Patriots 42, Giants 10, adding, "The Patriots will be able to run the ball effectively." (New England ran for 45 yards.) Jeff Zillgitt of USA Today predicted the Patriots would win because Tom Brady would outplay Eli Manning; Manning was the MVP. Mike Florio of Profootballtalk.com predicted, "The stage could be set for a blowout by the Patriots." If chicks dig this guy, men of America, it's been a good run, but time to pack it in. will show his youth and inexperience late in the game." SI offered some celebrity predictions, with model Jessica White saying Patriots 38-24. 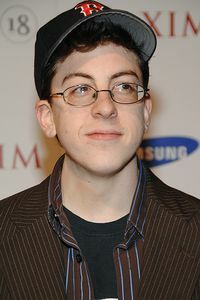 Teen oddity Christopher Mintz-Plasse said the Patriots would win 34-3 because "Eli can't handle the pressure." Page 2's Jemele Hill maintains that Mintz-Plasse caused the most excitement of any celeb on the Super Bowl party circuit. Oh man, if the chicks think this joker is hot, how did I have trouble getting dates in college? On ESPN television, only Mike Ditka picked the Giants. A week before the Super Bowl, Sean Salisbury said, "The Giants will play them close the entire game." The day before the Super Bowl, Salisbury said, "The Patriots will hang 50 points on them." Sean -- you should have stayed with your instincts! At ESPN.com, pundits voted 16-5 for New England. Gene Wojciechowski predicted Asante Samuel would be the Super Bowl's star; Samuel dropped the last-minute interception that would have won the game. Bill Simmons had the Patriots winning by 25 points. John Banks had the Patriots winning by 21 points: "This Super Bowl has the look and feel of a blowout." The Madden game simulator had Patriots, 38-30. Scan down to the bottom of the ESPN predictions, though, and you will find someone who both had the Giants and came closest to the actual final score. Obviously, I wouldn't be pointing that out unless it was me. Then there was the incredible celebrity ring-up conducted by David Nielsen of Scripps Howard News Service. For 19 years, Nielsen has phoned a variety of A- and B-list celebs for their Super Bowl predictions. This year, 63 of the 100 predicted a New England win. LeBron James said Patriots, 34-14. Miss America, Kirsten Haglund, said Patriots, 31-20. Mitt Romney said Patriots, 28-14. Randy Jackson of "American Idol" said Patriots by seven. Fundamentalist leader James Dobson said Patriots, 34-24, adding, "How can a thinking person pick against a team that is 18-0?" (Note: According to our statistics experts, this marks the first time the name James Dobson and the phrase "a thinking person" have appeared in the same sentence.) Vince Neil of Motley Crue said Patriots 49-14, and Rodney Atkins said Patriots 42-17, leading us to conclude, once again, that pop stars should never be trusted with any matter of importance. If scantily clad beauty queens predict the Super Bowl better than football experts, perhaps ESPN should rethink its entire marketing strategy. Other Scripps Howard predictions held fast. Miss USA, Rachel Smith, said Giants by 1, and if that's not a legitimate reason to run her swimsuit photo, I don't know what is. Cartoonist Scott Adams had the Giants, adding, "Eli Manning has more incentive to win because he's trying to make his parents love him more they love his older brother. That's a bigger incentive than Tom Brady's desire to bed yet another supermodel." Hmm -- not a bad analysis! Shaquille O'Neal said Giants, 21-20, "Because the Pats have too much pressure to run the table, and New York will take advantage of the situation." Another good analysis! Tennis broadcaster Pam Shriver said, "Patriots, 24-13, but I'm hoping for 17-14 in overtime for the Giants." Pam -- you should have stayed with your instincts! CIA Director Mike Hayden said Giants, 28-24, adding, "Careful intelligence work looks beyond the obvious. The Giants are hot now. Three playoff wins on the road, like the Steelers before Super Bowl XL. Regular season finale shows they match up well against the Pats. Besides, nobody's perfect." Last season, Hayden predicted Indianapolis would win the Super Bowl by 13 points, and the Colts won by 12. How come the Central Intelligence Agency was totally wrong about Iraq, knew nothing about the Libyan nuclear program or Pakistani nuclear proliferation, yet has sophisticated insight into the Super Bowl? Over 19 years, Scripps Howard has published 1,641 Super Bowl final score predictions and two have been correct -- something to keep in mind when you're tempted to waste perfectly good time predicting exact final scores. And of course, before the game, Tom Brady publicly mocked a prediction that New England would score just 17 points. How Brady wishes New England had scored 17 points! Fifth runner-up: Dan Arkush, executive editor, Pro Football Weekly. The Patriots will win the Super Bowl by 20 points because "New England's rock-solid offensive line will hold the Giants' potent pass rush in check." Jersey/A recorded five sacks. Fourth runner-up, Eric Allen, ESPN: Cam Cameron will be Coach of the Year; the Dolphins finished 1-15, and Cameron was fired. Third runner-up, Gregg Easterbrook, Tuesday Morning Quarterback: "I am not sold on the Giants." Spoken on "The Max Kellerman Show," November 2007. Moss's best days are long behind him." For New England to obtain Moss, Chadiha foresaw, was "madness." Moss set the single-season touchdown receptions record as the Patriots came within 35 seconds of perfection. First runner-up, Bill Williamson, on MSNBC at the start of the season: Jersey/A "cannot go to the Super Bowl. The Giants have to just hope their quarterback progresses and there isn't a mutiny of the coaching staff. The Super Bowl is too much to ask for." Winner, Worst Prediction of the Year: The astonishing ESPN.com meta-forecast: Your faithful servants here at ESPN.com ran 16 sets of expert projections for all division and wild-card winners. Not only did none of the 16 expert predictions have the Giants reaching the Super Bowl -- none of them even had the Giants making the playoffs. Season Sign-Off: Tuesday Morning Quarterback folds its tent and steals off into the desert, though it will resurface briefly during the NFL draft. As usual, I recommend you employ the offseason to engage in spiritual growth. Take long walks. Attend worship services of any faith. Exercise more and eat less. Perform volunteer work in your community. Read five of the great books you've always meant to read. Of newly released work, in political books, I recommend "The Bush Tragedy" by Jacob Weisberg, who argues that George W. Bush's lifelong obsession with acting tougher than his father is the real, and therefore shameful, reason the United States invaded Iraq. In general nonfiction, "The Heartless Stone" by Tom Zoellner, fascinating you-are-there reporting about the global impact of the diamond industry. In new fiction, "Last Night at the Lobster" by Stewart O'Nan, the best book about contemporary average American life since "Empire Falls." In humor, "Remove Child Before Folding" by Bob Jones, a hilarious compendium of ridiculous disclaimers. Read, mediate, serve others: Do these things, and you will feel justified in racing back to the remote, the swimsuit calendars and the microbrews when the football artificial universe resumes anew in the autumn. Don't miss any of Page 2's hard-hitting Super Bowl coverage as we gird for an epic clash between the Giants and Patriots. • Uni Watch: Where's all the blue in Big Blue? • Milz: What does Gisele's dad think of Tom?